1. 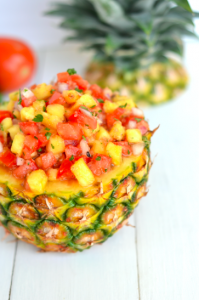 In a large bowl, combine pineapple, tomatoes, cilantro, red onion, and jalapenos. Add lime juice and toss to coat. 2. Season to taste with salt, pepper, and hot pepper sauce, if using. Allow flavors to blend at room temperature for 30 minutes, or chill until serving time. Serve with tortilla chips. Enjoy! Check out more recipe ideas on our blog here! 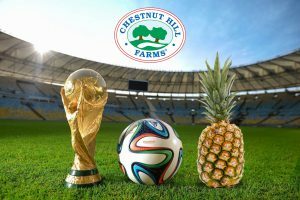 This entry was posted in Latest News, Recipes, Tips & Tall Tales and tagged pineapple salsa, world cup, world cup 2018, world cup party, world cup salsa. Bookmark the permalink.